A quick look at Google Trends comparing Influencer Marketing to other marketing disciplines shows a near hockey stick growth trend. Since my team consults and I advocate, write and speak about influencer marketing so often, people often ask me: “Is influencer marketing a real trend?”. Looking back on my experience in digital marketing over the past 20 years with the advent of disciplines like SEO, social media and content marketing, I’d say the momentum around influencer marketing has many of the same characteristics. It’s here, it’s still early and will continue to grow. While working with influencers isn’t all that new, my experience talking about influencer marketing with B2B brands (and many agencies) has taught me that many B2B marketers are not fully aware or confident about where working with influencers fits in their marketing mix. The good news is that we’ve been in the thick of B2B influencer marketing and content marketing for the last 6-7 years. Starting with experiments, we evolved our offering by practicing what we preach and introducing best practices and process to our clients. Today we’re delivering influencer content marketing services to major B2B and B2C brands including SAP, LinkedIn, State Farm and 3M. 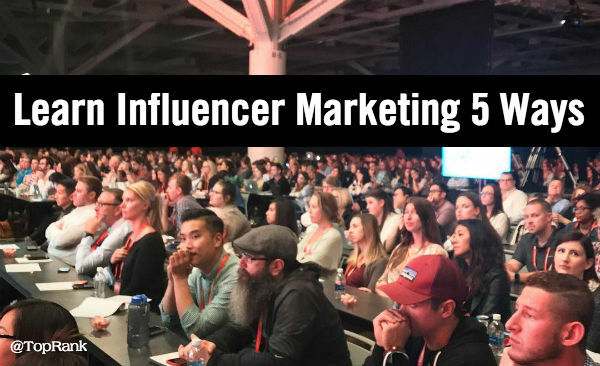 To learn what we’ve learned, I invite you to check out the following 5 events where I will be talking about influencer marketing from essentially 5 different perspectives. From New York to San Francisco to Milan, there’s something for everyone. The irony of this presentation is that I will be in New York as an influencer for IBM and while there, giving a presentation on influencer marketing at an influencer marketing conference! It’s like influencer marketing inception! One of my all-time favorite conferences of the year, B2B Forum is where I get to truly geek out on B2B influencer marketing with some of the smartest B2B marketers in the world. And there’s Ann Handley too – who would want to miss hanging out with her? No one! Salesforce event staff have told me I will have a room that can seat 800, which might not seem like much for a conference with 90,000+ attendees, but I’ll take it. Companies that use marketing software are definitely great potential clients for TopRank Marketing. 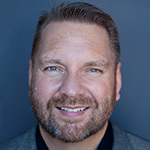 Brett Tabke gave me a shot at speaking early on in my career and because of a longstanding client conference date that conflicted with Pubcon, I haven’t been able to attend in many years. Now I’ll be giving a keynote to the community where I got my start in marketing and I can’t tell you how much that means to me. My hope is that the presentation will mean something to the amazing search community. I will be back in Milan to talk about content marketing with an influencer marketing flavor to the hungry Italian marketers converging on Milan. This event will also give me the opportunity to connect with my European search marketing pals. 1. Be specific. When setting goals for what’s possible, define your topic of influence specifically. Focus topics drive influencer identification as well as influencer content, SEO and social media themes. 2. Be the best answer. Map focus topics to your normal content, SEO, advertising and media relations plans.To be the best answer wherever customers are looking and influenced, it’s more effective if there is continuity of message across channels where buyers discover and consume solutions content. 3. Give to get. Brandividuals that play the game of influence will respond to compensation early, but most niche and brand influencers require romance. Start recruiting through social engagement long before you ask influencers to collaborate. 4. Collaborate to create. Invite influencers to make something together that drives the influencer’s objectives while at the same time, fuels brand objectives. At a minimum, influencer engagement results in content co-creation that can be repurposed by the brand for demand gen programs. Also consider the power of pride. When influencers invest in creating something that makes them look good, they will be inspired to share and help your brand reach new audiences. 5. Measure smart. Inputs, outputs and outcomes of influencers and their communities relative to your content collaboration is essential. When content is part of your influencer collaboration, then you’ll have all the measurement opportunities with any other content marketing program as well. The key is to map KPIs of working with influencers to business goals for your brand. Whether you are in New York for Advertising Week, Boston for Marketing Profs B2B Forum, San Francisco for Dreamforce, Las Vegas for Pubcon or Milan for SMXL, I hope to see you so we can connect and learn from each other about the amazing world of influencer marketing. Do you have proven community management, content and influencer engagement skills? Work with TopRank Marketing! If you are an experienced influencer marketing professional and would like to join a team that is fast tracking growth and working with some amazing brands, then be sure to check out our careers page or contact me directly: lodden at toprankmarketing .dot com.